As discussed in my earlier article, Exxon would probably be lesser interested in downstream operations of a mid-size country. My biggest question when Exxon sold the Malaysian downstream operations to Petron - was why would Petron be sold at RM3.59 per share or at total valuation of RM939 million back in 2012. If one is to refer here, Exxon basically sold a 88k/bpd refinery (albeit an old one), 560 petrol station business where 420 assets are owned (a very valuable asset), 10 fuel distribution terminals (very valuable as well) and the rights to the retailing business (even more valuable) rather than one starting and building the business one by one - which is almost impossible. Think about it. 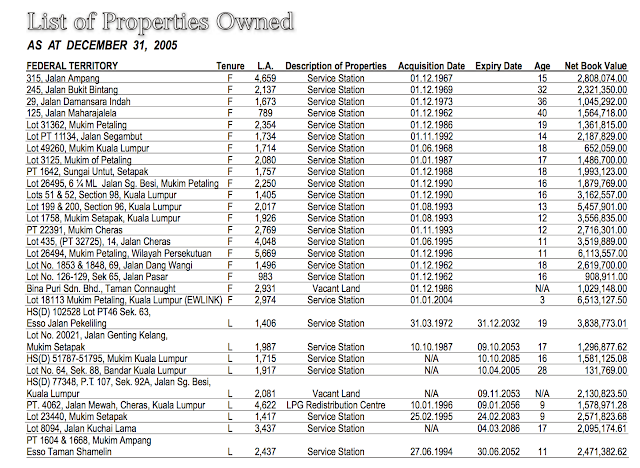 That to my surprise was sold at a valuation of below RM1 billion. If one can remember, Petron Philippines which bought the 65% stake, subsequently offered to purchase all the remaining 35% shareholders at the similar RM3.59 offering. About 8+% took up and that is why they now hold 73+% of Petron Malaysia. 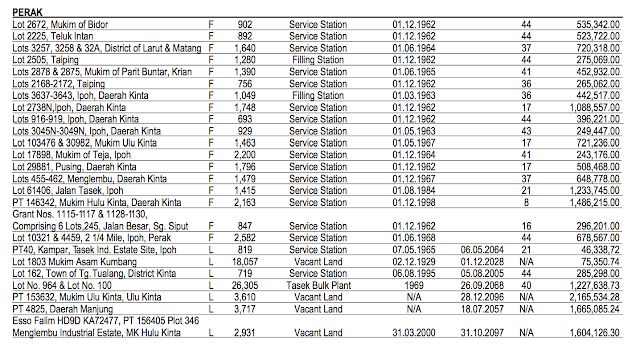 I made a reference to the Independent Advise by Kenanga during then, which one can read them here and here. Basically, what Kenanga advised was for the 35% minority shareholders to not accept the deal as it was deemed unfair. 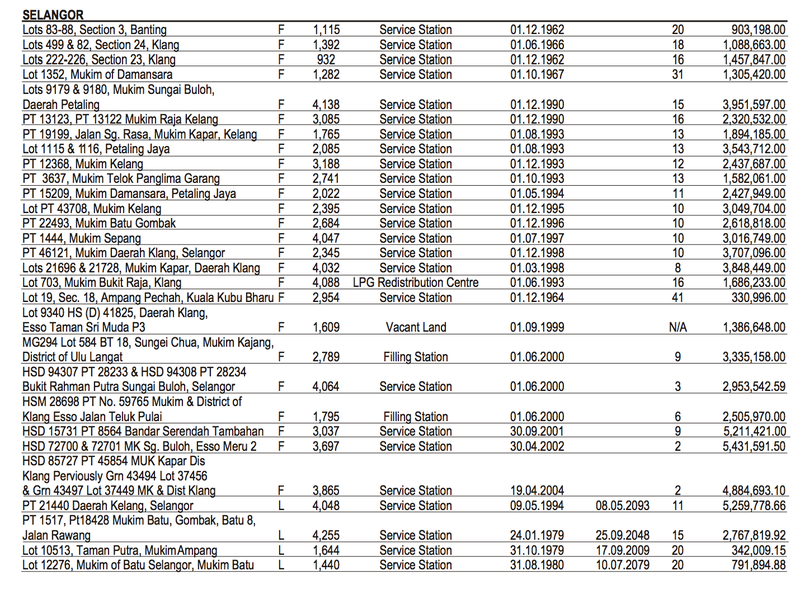 For those whom do not intend to read the advise, basically Kenanga based upon the advise from Esso Malaysia's past performances and dividends that it had provided prior to 2012. Needless to say, I am not impress with the information that was provided as they have not much data to provide beyond the past performances. Something more that was amiss that it missed out in the advise. Esso Malaysia was sitting on very old assets which probably have not been revalued. I am not able to determine what are the Revised Net Asset Value (RNAV) for these assets as most probably these assets are never revalued. It is good to note that for Esso or Petron now, these revaluation is not important as the exercise would probably benefits WTW or Raine and Co rather then the shareholders. However, during a disposal, usually these are done - but in this exercise during 2011/12 it was not considered at all. In the last probably 9 years of Petron's / Esso's disclosure, these assets are not revealed but I managed to dig through and see what was disclosed in 2005. Many of those assets were bought decades ago and how much would they be valued now? 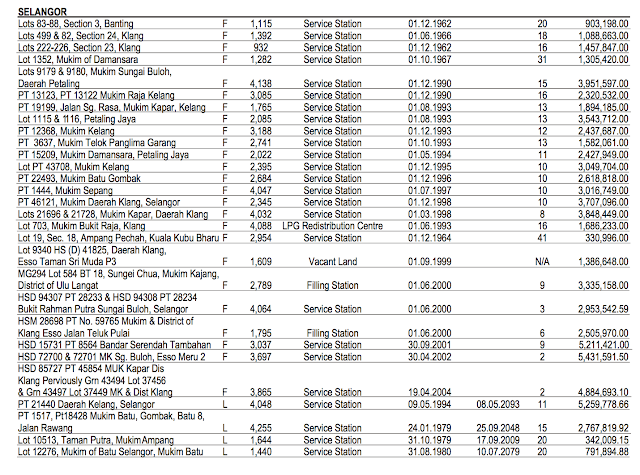 Note that there are 420 of these petrol station assets. 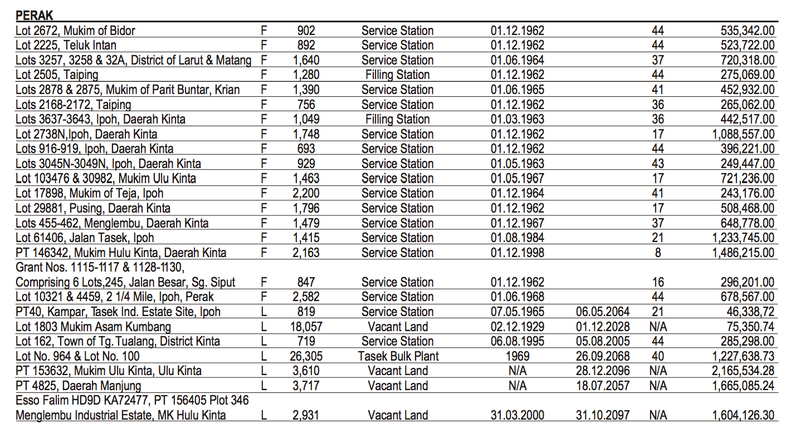 The ones which I picked are a portion of what they revealed in the 2005 Annual Report. Subsequent to that, Esso (later Petron) just picked the top 10 assets to disclose. Anyway, as in many businesses, I would agree that these assets are for its business and there are little possibilities Petron would be selling them - unless they are really strategic or the assets may not produce the return that is expected of them from the petrol marketing business. 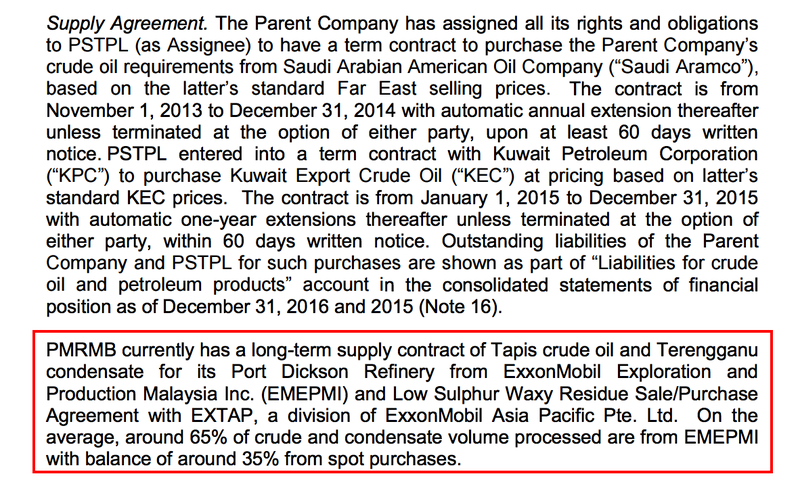 Another key point in the agreement between Exxon, the seller and Petron is the supply. 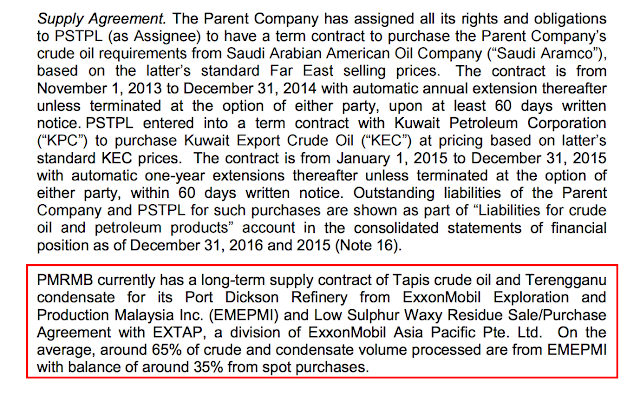 What probably is key is that (as provided below) Petron gets its continuous supply from ExxonMobil. This works both ways as Exxon gets to have its product taken up while Petron's refinery continuously gets its supply. One should note that for a refinery, consistent supply is very important if one is not able to get the supply from its own fields (which Petron does not have any). Without yet looking at the business profitability and future prospects, one should note that these are very key features for Petron Malaysia to continue to position itself among the downstream players. My observation is that Petron Malaysia at this stage - its hardest period is perhaps a thing of the past. The early 3 years, I felt that it was at the stage where it had to prove to people as Petron is a new brand in Malaysia - it could have gone the Projet direction, and maybe not as well received as we see in BHP. The way I see it is that Petron is now at ramping up stage. I have also been asked on my observation on Hengyuan (which purchased the Port Dickson refinery from Shell) as against Petron Malaysia. Again, I am not an expert in this, but based on what I am able to gather Hengyuan seems to be a capable refiner (which is why the Shell petrol that you buy in Malaysia most probably all of them come from Hengyuan's refinery). However, on its operational efficiency, that has yet to be seen as Hengyuan which fully completed the acquisition in early 2016, it seems to me has yet to make the upgrades towards the current refinery. 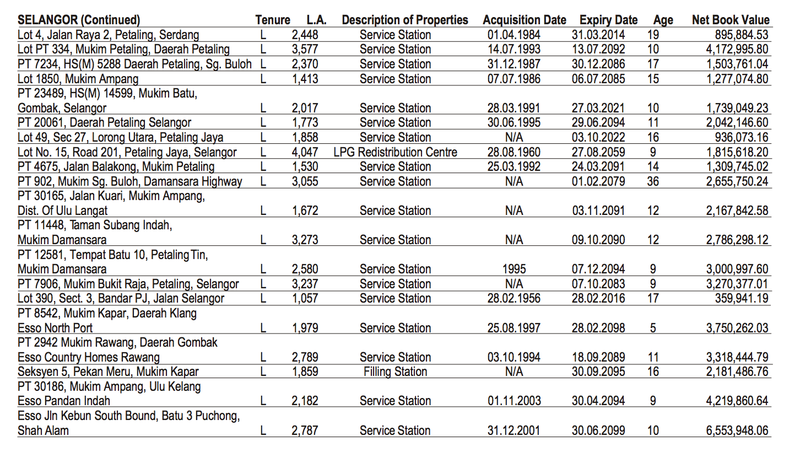 On the other hand, Petron Malaysia has done so after taking over the business since 2012. It has managed to be Euro4 compliant. To me, at this stage Petron seems to be the safer hands for an investor but that does not necessarily mean that Hengyuan will not be a good investment in the long term. Whether Petron Malaysia is expanding its refinery business, that has yet to be finalised. I believe the management would have weighed the situation carefully and smartly. 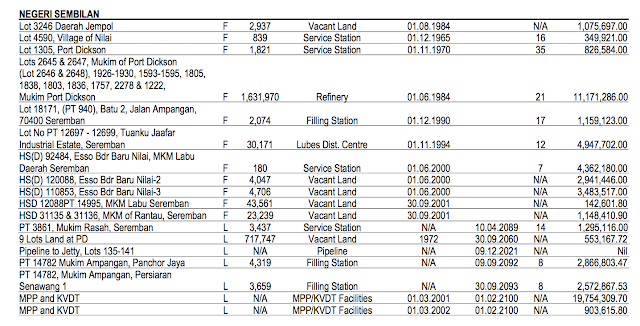 Malaysia itself has enough refinery capacity for our own usage especially for gasoline consumption. And at the moment, Petron's 88k/bpd seems to be not fully utilised. Or it could be going for a much efficient one in the long term. From what I have read, Petron may look for other downstream opportunities from the potential new refinery - i.e. petrochemical products.